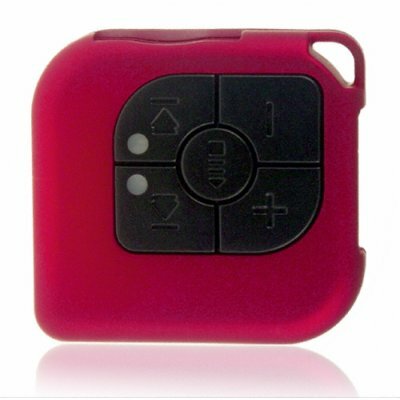 Successfully Added Pocket MP3 Player + Flash Memory Card Reader (Metallic Red) to your Shopping Cart. Pocket MP3 Player + Flash Memory Card Reader (Metallic Red). A portable MP3 Player in a highly compact and sleek form factor, this lightweight device comes in an eye-catching metallic red. The TX-C18-RED provides you with the mobility and the convenience to take your music wherever you go, whenever you want - relax and listen to your favorite music tracks on the bus, in the car, in a cafe or the park. With a user-friendly 5-button interface, you can be confident of staying in control of your music at all times. A highly practical, dual-function device, the MP3 Player also works as a handy Flash Memory Card Reader for SD and MMC cards up to 8GB capacity. Store and transfer your music, documents - simply insert an SD/MMC card and connect the device to your computer using high-speed USB 2.0 and copy files over to it! With plug-and-play functionality, no additional drivers are needed to use this great product. This is a great gadget brought to you by the leader in China Wholesale Electronics, Chinavasion. Buy one for yourself and sell the other pieces on eBay or your local market. This is a great resale opportunity. So order TX-C18-RED today for a tidy profit! Does this product require any special software? This device is plug and play, meaning that no additional drivers are required for Windows PCs with operating systems after Windows 98. Very honest item. Easy to use, practical, light. The only drawback is that it cannot play longer than about 10min mp3 files such as podcasts or dj sets.